Being a social network can be really tough. With Facebook and MySpace dominating the US market, other social networks are investing overseas to develop their brand and maintain their stickiness. This is especially true of Friendster which is a Silicon Valley company but mainly operated in Asia with offices in Singapore, Malaysia and the Philippines. Friendster’s popularity in Asia thrashes both Facebook MySpace in the region. The same is true for Multiply. 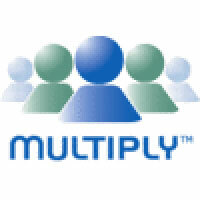 Multiply is the second most popular social networking site in the Philippines trailing Friendster. Still, Multiply’s focus on photos have made it a darling for media companies in the country. So it’s not surprising that ABS-CBN Broadcasting Corporation, the largest integrated media and entertainment Company in the Philippines has acquired a 5% stake in social networking site Multiply. In a statement, ABS-CBN said it purchased 2,524,488 shares of Series P Common Stock in Multiply, Inc. at a purchase price of $1.9806 per share, or a total purchase price of $5,000,000.93 last November 13. "Multiply is a natural fit for ABS-CBN. It is the social network that is most consistent to our business model because they have focused on photo, video and blog features compared to the other social networks such as Friendster and Facebook, which focus on connecting friends and running applications. This puts together content and communities around the content, whether it is ABS-CBN-branded or user-generated," according to ABS-CBN Interactive head Paolo Pineda. Moreover, ABS-CBN also has plans to launch advertising campaigns and mobile applications with Multiply in the future. "We will monetize the network through advertising and mobile services. With this investment, we now have a commitment to the social networking industry and we believe it is here to stay. Multiply pieces all of our media and community together," he said.